How Big Data Impacts the Travel Industry? As we all know that mobile usage is increasing by the second in comparison to the desktop usage; today’s websites need to be faster than ever in order to be able to load quickly on mobile devices and to react to various touch gestures. 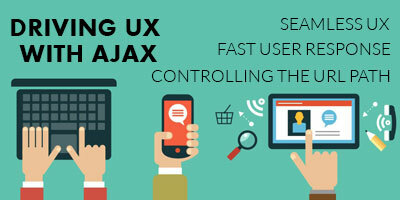 Effective and speedy response to the user input is one of the biggest advantages of AJAX. In general websites users have to wait for the interactions to take place as the entire page is re-loaded every time. For every mouse click which asks for more information, the entire DOM of the page is thrown out and reloaded by the browser increasing the reaction time unnecessarily. Such major advantage of AJAX lies in its stream of information, which is totally independent of page loading events. AJAX powered websites are able to send the data to the servers asynchronously without having to interfere with the display of the page. Today many sites are built on AJAX which delivers immediate result without disturbing the DOM of the page. When website loads it presents a unique opportunity to create page transitions and load animations. This is also an opportunity for the company to get creative with the company’s branding. One little drawback of using AJAX is that websites which are based on 100% AJAX frameworks does not provide and visual loading status and this happens because the DOM is not re-loaded entirely and this creates confusion for the potential visitor. However, this problem can be overcome by using the custom loading status indicators which can indicate the progress of the page. • User tries to navigate using the forward or backward button of the browser. All these concerns have been solved by the HTML5 history API. Each page of the 100% AJAX site and its alternate views are considered as individual requests though technically the site is a single page load. The URL in the browser still changes which represents the current viewing state. These URL’s are indexed by the Google’s crawler making these sites fully compatible with the SEO. 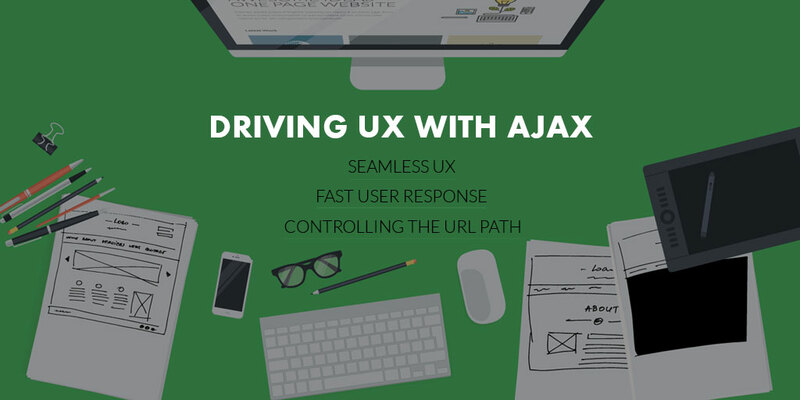 AJAX is important for the development of the modern web as only necessary contents and changes are loaded. This provides small loading time and faster user response which is essential in this era of mobile usage.